I'm so excited Thanksgiving is around the corner and Fall weather has hit Florida with temperatures just cool enough for jeans and a hoodie, it's been beautiful here. While I'm enjoying the weather, I'm also trying out new recipes so that I have a great Turkey Day line up! 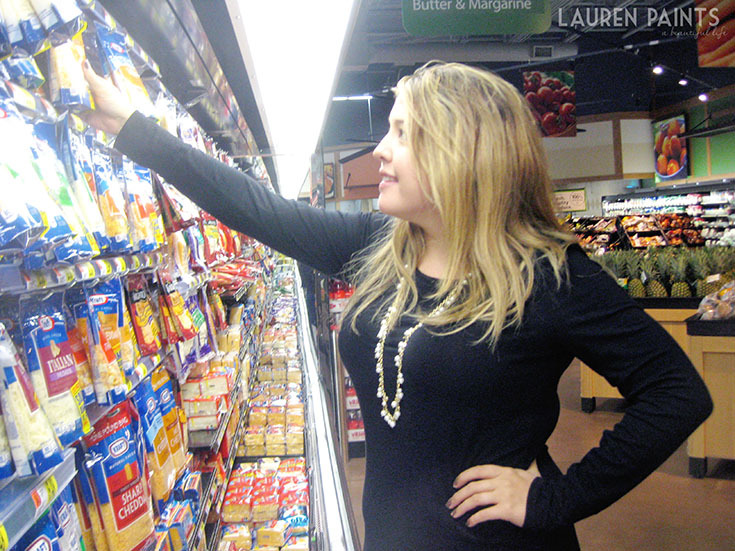 I was at Wal-Mart the other day picking up tons of ingredients for this recipe (I'm stocking up on the Kraft Triple Cheddar Shredded Cheese as pictured above) & I also bought stuff to try some amazing new recipes from the Cooking Up Good website. If you want to try out new recipes as well or if you would like the opportunity to win something awesome, I highly suggest you check it out. While I love trying brand new recipes I'm blessed enough to have many amazing cooks in my family and recipes that are passed down through generations. Among the best cooks in my family are my mother-in-law and my grandmother; they both create works of art in the kitchen that really wow you with flavors. Since hubs and I are in Florida without most of our family on Turkey Day this year, including our favorite family cooks, I'm starting a new tradition. I want to bake my Grandma's famous dishes while mixing in some tricks my hubby loves from my mother-in-law's cooking while throwing in my own twists - a fusion of styles, if you will. 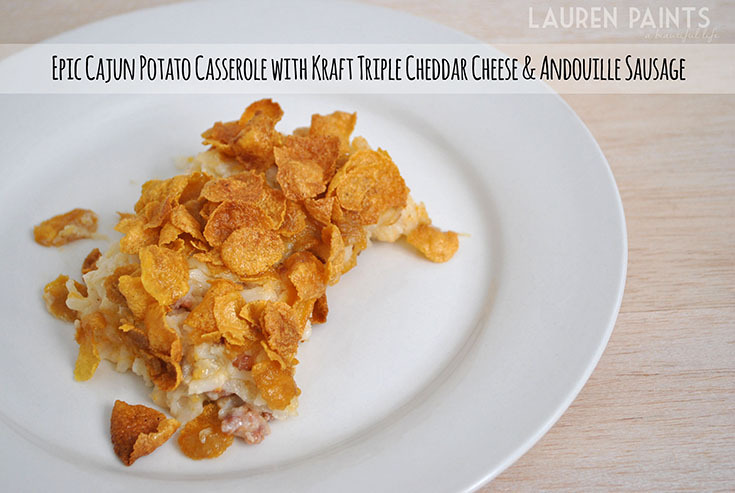 After this re-make of my family's favorite casserole this week I'm super excited to see what other creative adaptions I can come up with! 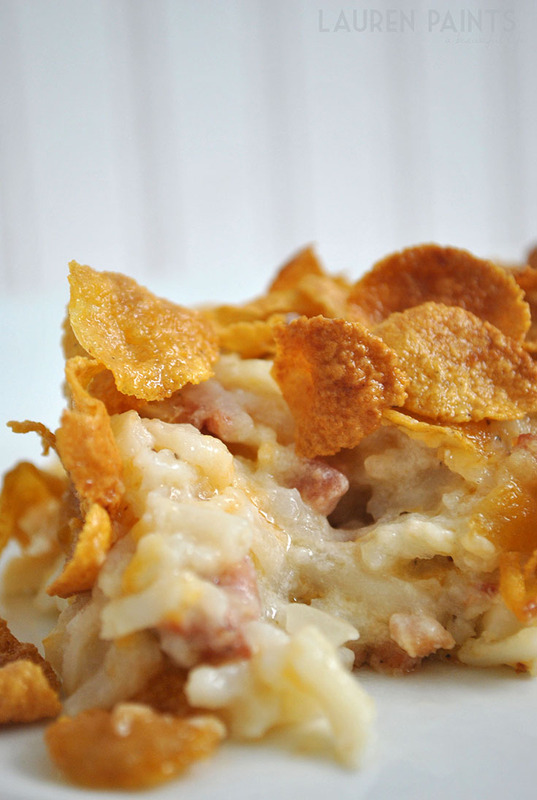 This Epic Cajun Potato Casserole with Kraft Triple Cheddar Cheese & Andouille Sausage is an amazing fusion of my mother-in-law's Cajun cooking and my grandmother's traditional cooking with little adaptations that make this recipe amazing. 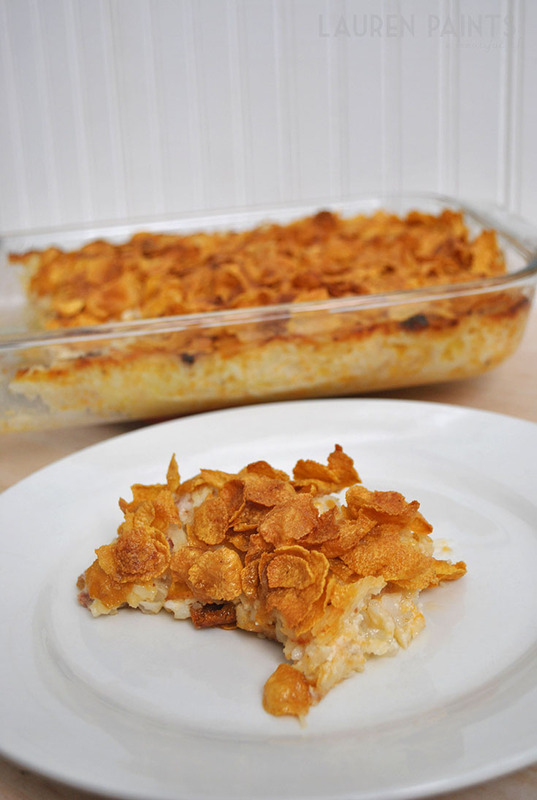 I may be flattering myself a bit but this cheesy, gooey delicious casserole is unforgettably good and according to hubby it's a recipe that we'll have to repeat, again and again. Peel the casing off of the andouille sausage and sauté until thoroughly cooked, remove from heat and replace with the diced onions, sauté on medium heat for about 5 minutes allowing them to soften a bit. Next you'll combine the onions, sausage, hash browns, cream of chicken soup, sour cream, and Kraft Shredded Triple Cheddar Cheese in a large mixing bowl, or if you are into having less dishes to do you can mix them together in your baking dish (as pictured). Stir in a dash of cumin, coriander, paprika, oregano, salt, & pepper to add some kick to your dish. Now spread evenly across a 9x13 baking dish. Place in oven & bake for 30 minutes. When there are only a few minutes left for the dish to bake go ahead and soften a stick of butter. 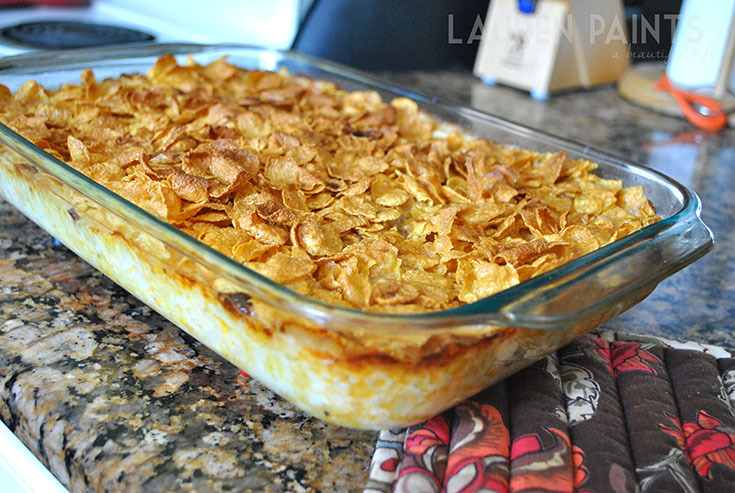 Remove the dish from the oven and spread a layer of corn flakes across the top of the casserole and drizzle butter over the top of cereal, then bake for another 30 minutes. Give your friends and family a little something extra to be thankful for this year, make this dish during your "Friendsgiving" or Thanksgiving! 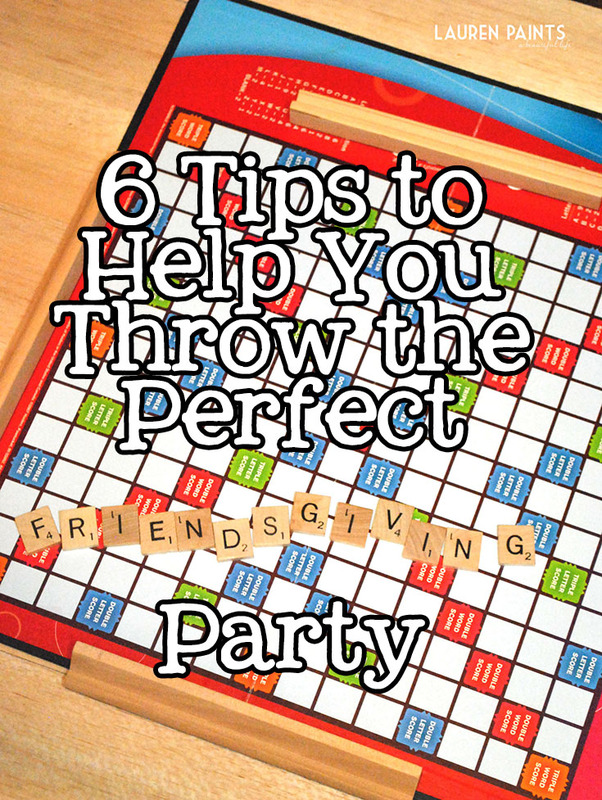 Since it's time to party with friends and family, here's 6 tips to help you throw the perfect Friendsgiving party! 1. We're going to start with decor! I think a printable is the easiest and most economical way to decorate for the season; printables are easy to switch based on your mood, holiday, season,etc. 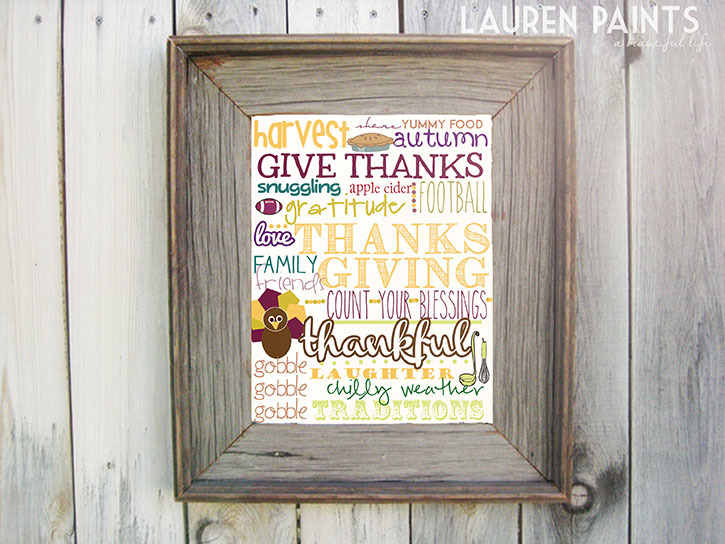 I love that printables can offer so much color and festiveness in any room! 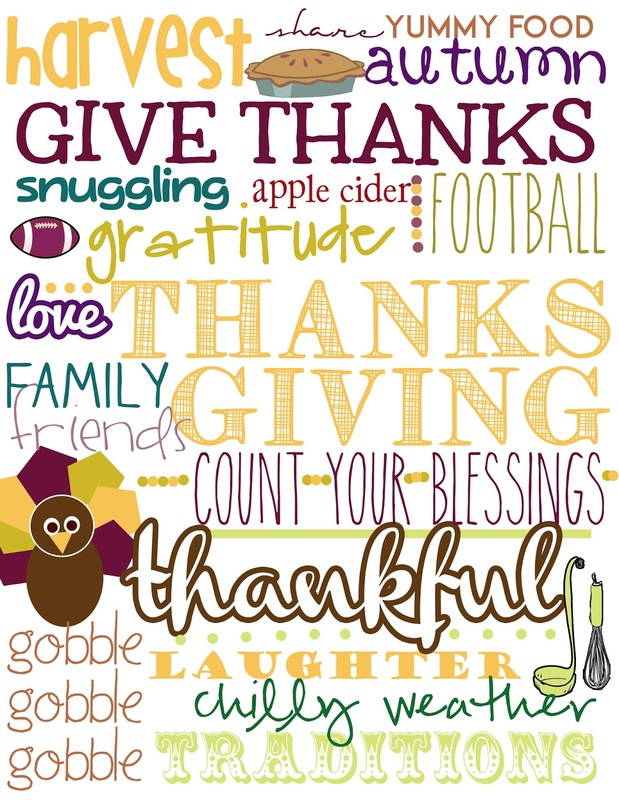 You can find printables online nearly every where, just like this free printable I made for you below! Click here or on the printable below to and right click to save! 2. Serve Delicious Refreshments! 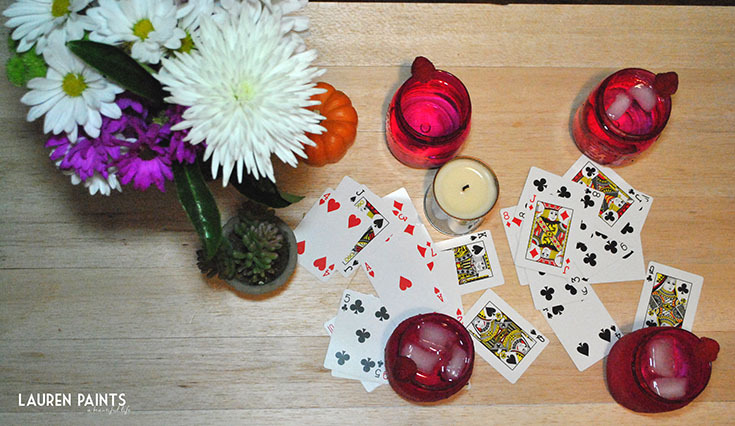 Make sure you keep your guests entertained and their glass full while they're visiting. I served my guests some delicious raspberry cocktails and garnished with a fresh raspberry - so tasty and festive in these richly colored mason jars! 3. Get Competitive! Playing games with family and friends on a holiday is a must! I love busting out the cards or scrabble, both games are so much fun and almost everyone can play! Some of my favorite family memories include laughing while playing games. 4. Table Decor is FUN! I'm not usually a big "centerpiece" person (is there such a thing...? 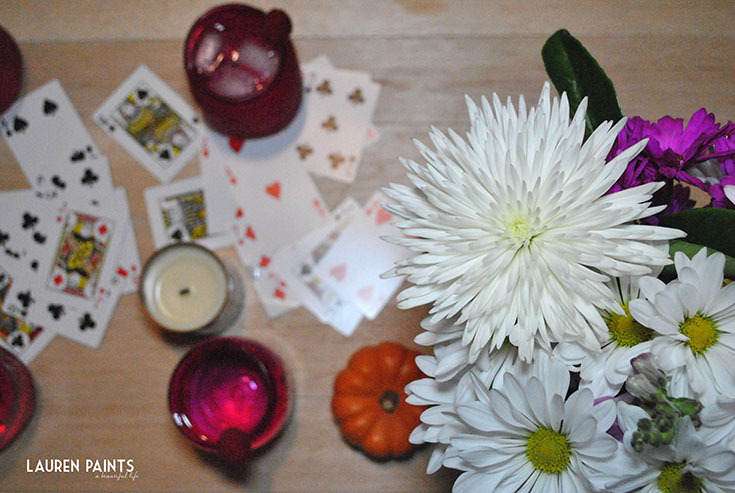 ), but this year I decided to jazz up our table with some pretty items to make it feel festive. With fresh beautiful flowers from the florist (and my husband) and a few mini-pumpkins - my tablescape is perfect for Fall. Pick up a small bouquet and add it to your table or create something yourself. Not only does it make your table more beautiful, it could provide for some interesting conversation as well! 5. Make Recipes that are easy! No one needs to know if you take short cuts to get more accomplished in less time. Don't take credit for the frozen pie (that wouldn't be honest)... but you can add a few extra items to the top of the pie to make it more tasty. Get creative, make ahead, and relax on the day of your "friendsgiving" event. 6. Think outside the box - You don't have to make dishes that are expected for Thanksgiving either, technically you don't even have to cook! A great alternative would be to ask your guests to bring their favorite dish from their childhood and have a pot luck dinner... Can you imagine how tasty this could be? 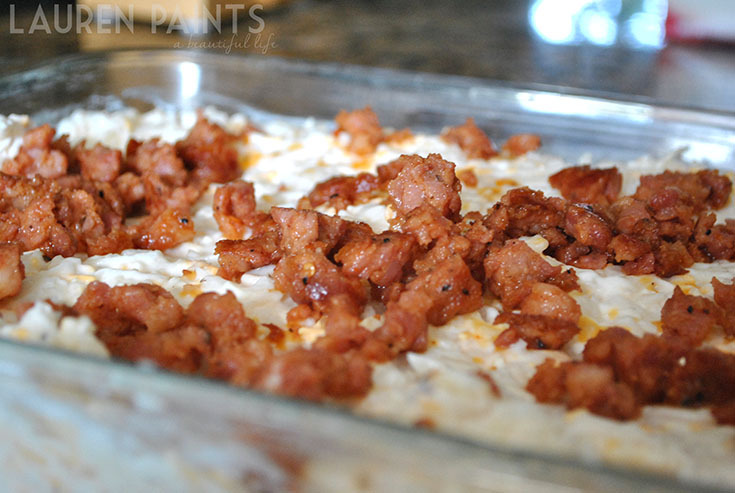 I would bring my Epic Cajun Potato Casserole with Kraft Triple Cheddar Cheese & Andouille Sausage! I'd love to know, what party tips do you have to offer? What's your favorite holiday party moment?